Deccan is a formable country in India. It exists in game starts later than 1724. This land was once foreign to our ancestors but we have made it our own. Here we have built a new society where Persianate influences have met local ancient Indian traditions. We have our own language, our own administrative traditions and our own myths and legends. It is time we show the world that the south has overcome its differences and is united as one. is not End game tag. Bidar (1948), Hyderabad (542), Bijapur (569), Ahmednagar (544), Ilichpur (548), Vijayanagar (541), Chaul (2089), Velanadu (543), Arcot (2027), Seringapatam (4421), Bhatkal (531) and Madras (539). Gain a permanent claim on all not owned provinces in the Coromandel region and Deccan region. 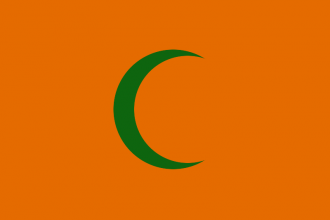 Deccan can form Hindustan as Muslim country with Dravidian culture. Have a good strategy for Deccan? This page was last edited on 7 February 2019, at 21:40.